This is my Mom’s recipe for butter tarts. 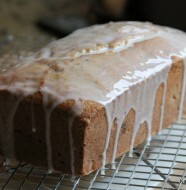 As far as I am concerned it’s the best recipe ever! 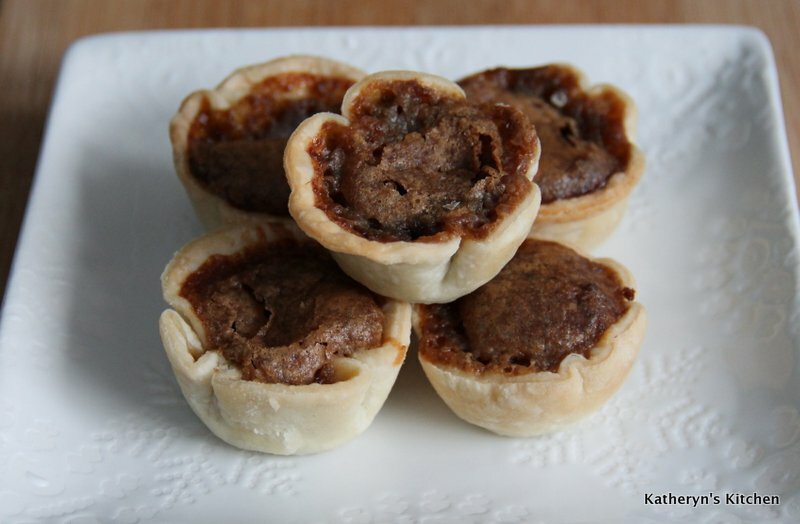 I really can’t eat any other butter tarts, because I am always disappointed when they don’t taste like they are “suppose too”, aka, like my Mom’s. I hope you like them too! By the way you can double or triple the recipe, we do, because the tarts disappear very quickly! 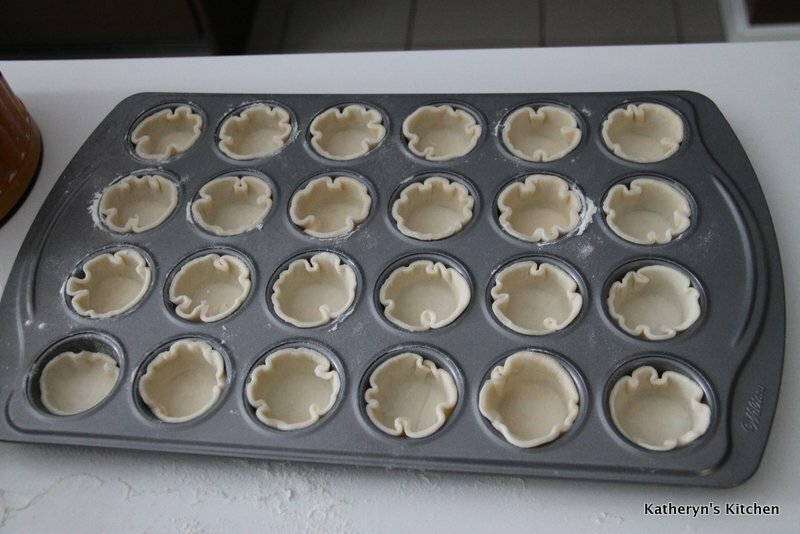 Makes: 24 mini tarts or 12 larger ones- I prefer the mini tarts, so I use a mini muffin tin, just like my Mom. 3/4 cup raisins- softened by covering in boiling water for 20 minutes and then drained. Use your favorite pie dough recipe or you can use this one. 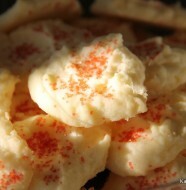 Make filling: Beat eggs, add sugar, vinegar, melted butter and vanilla and mix until slightly foamy. Heat oven to 375°F. Roll out your pie dough to about 1/4 inch thick. Cut out 3.5 inch in diameter rounds with pastry cutters that look something like this. I use a non-stick mini muffin tin. 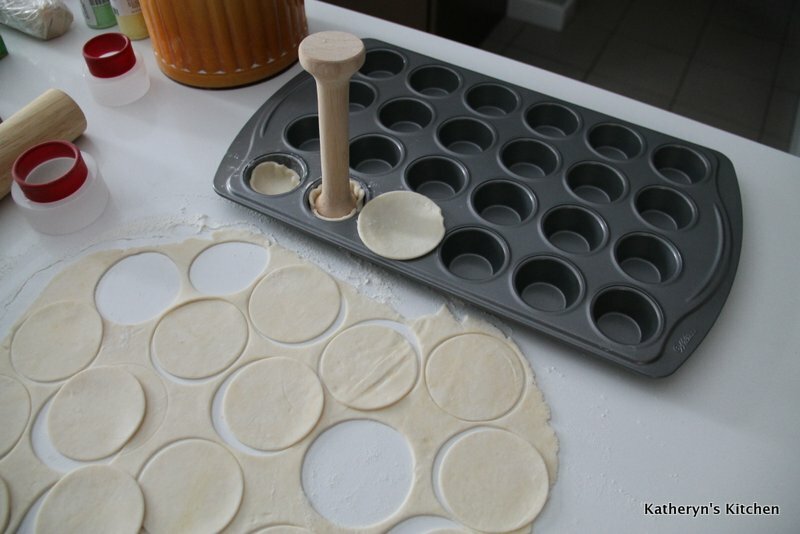 Place the dough round on top of the muffin tin and press gently into the hole. I have a Tart Dough Tamper to help me with this task, but you can just use your fingers. Be careful not to let your nails cut into the dough. 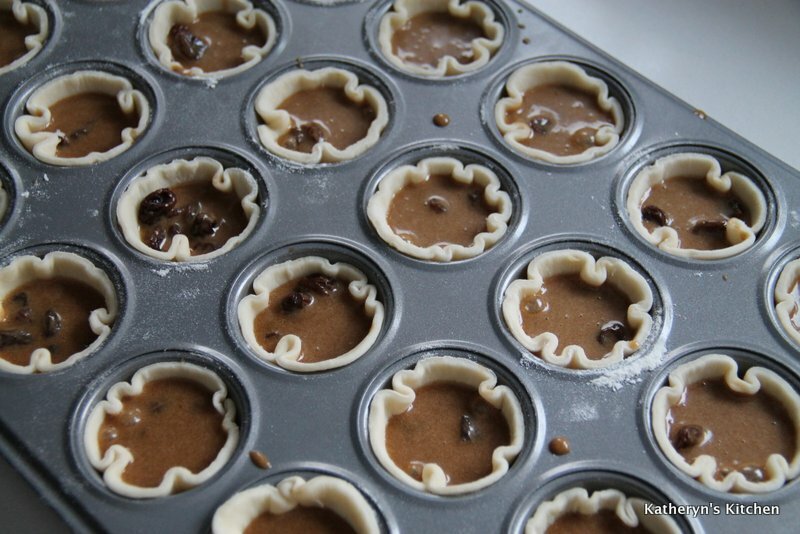 Sprinkle 6-8 raisins in each pie dough lined mini muffin tin. Now place the brown sugar/butter filling into a measuring cup with a spout to help control your pour into each muffin tin. 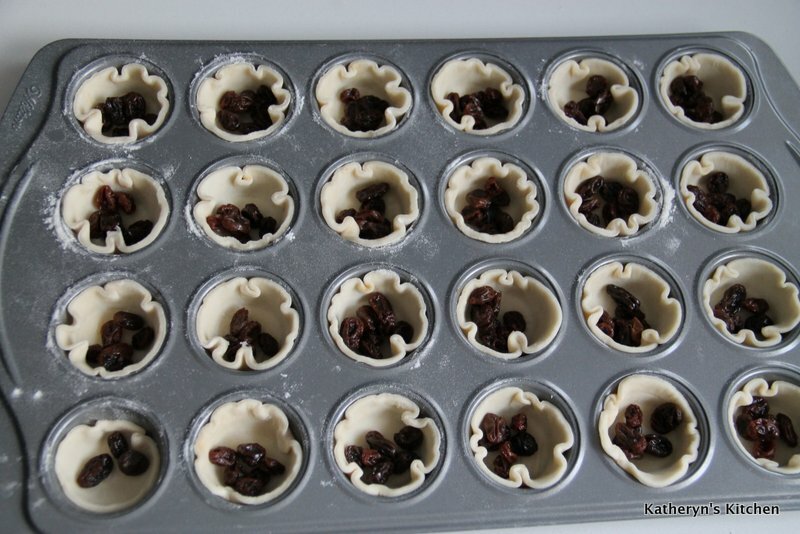 With a steady hand, pour filling over the raisins, but fill each dough shell until only two thirds full. The filling will bubble up, and you don’t want it to bubble up all over your oven. If you are concerned, place a foil lined baking sheet under your muffin tin pan. Place tray in bottom third of the oven and bake for about 20-25 minutes, until the filling is bubbling and the dough is becoming light brown around the edges of each tart. Remove tray from oven when finished baking and with a teaspoon, gently remove the warms tarts from the mini muffin tin. If the tarts filling has overflowed at all and is allowed to cool, it may be tough to remove the tarts from the muffin tin, so I just do it right away and let the tarts cool on a platter. These tarts freeze really well for up to 3 months in a sealed container. 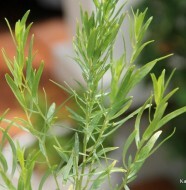 Bring out as you need and thaw at room temperature or warm a little in the oven.